"Tonnes of little ideas, but not quite what I was looking for"." I love running workshops and I try immensely hard to design workshops with lots of hands-on activities, but it is tirelessly challenging to make activities genuinely fun and engaging. Annoyingly, it's effortlessly-easy to create workshops where the fun feels forced and the activities seem uncomfortably-fake. Having been to many workshops that suffer these problems, I am ultra-determined to find the winning formula - where people genuinely enjoy the workshop and learn things at the same time. I know it's possible because I've been to great workshops in the past. One of my favourite workshops is Simon Brown's Software Architecture for Developers which I highly recommend if you want to learn how to architect or create engaging workshops. It was both captivating and enjoyable. It's nearly 5 years since I attended his workshop, but it still stands out as the best. I want every single person who attends my workshops to feel equally satisfied, even 5 years later. Anyway, now you know why I bought a copy of Pamela Hamilton's "The Workshop Book". I was hoping for a recipe book of little games and activities as inspiration. This book definitely did match those needs, but... I was a little underwhelmed. I'm not entirely sure why, and maybe I need to read it again. Let me explain in more detail. The first 50 of this 200 page book do provide some short sections on designing and leading workshops. But, the information doesn't go into great depth. I don't think I learned anything from this section. It could be because I'm experienced at running workshops, or it could be that I've learned the information in other books. 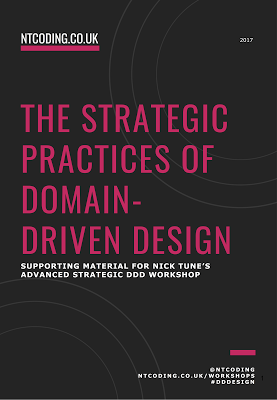 If you've never run a workshop before, the opening 50 pages will certainly encourage you to think about the design and delivery aspects of a workshop. Though I do suspect you'll be wishing the information was a little more detailed. Recipe-style workshop agendas are the true purpose of the book. There are about 20 of them presented in the remaining 150 pages. The structure of each recipe is perfect: start with a goal, explain the workshop, finish with a detailed agenda so you can run the workshop yourself. Most of the workshop recipes are focused around specific business activities, for example "How to Create New Names", "Roadmap", or "Influencing Senior Leadership Positively". Those aren't the reasons I run workshops. I don't run workshops internally to achieve goals, I run workshops to teach people new concepts and ideas. I can totally understand why the recipes in the book are focused in this way - this is Pamela's job, this is what she's an expert at. She goes round to reputable organisations, and helps them to achieve specific goals. If that is your goal, then this book is valuable to you. It's not my goal, so it wasn't entirely useful to me. There it's lots of clever advice, though. For example, Pamela talks about a time she did an offsite workshop at the zoo and took all the attendees to see the animals during a break. And because of this, I found it hard to focus on the book because my mind started to wonder a lot as I contemplated how I could bring novel ideas into my own workshops. So to summarise, I feel like there is little immediately-useful information I've taken from this book. There isn't a single recipe I'll take from the book and use. But the book continuously challenged me to think about new and novel practices that I can include in the workshop and maybe that will lead to big revelations in the future. If you aspire to run workshops in your organisation, or run workshops to help other organisations achieve a specific goal, you'll get value from this book.